Welcome to the official website of the 2019 The 4th International Conference on Materials Technology and Applications (ICMTA2019). 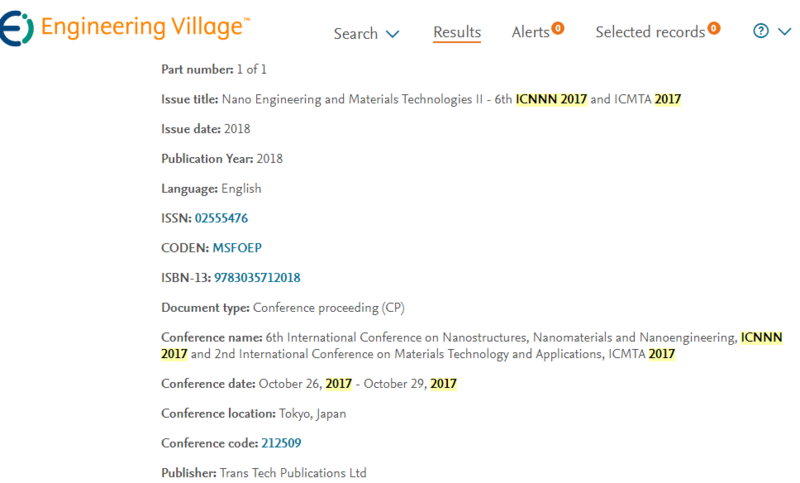 The conference will be held from October 11 to 14, 2019 in Kyoto, Japan. 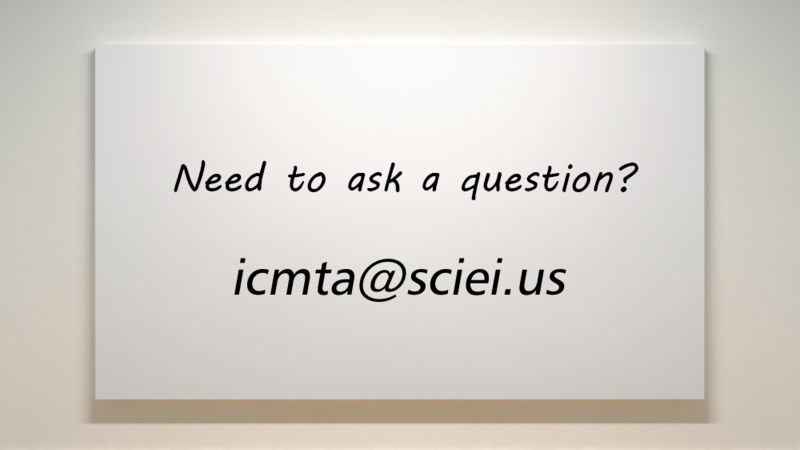 The conference will be held in conjunction with ICNNN 2019 as the workshop, providing great opportunity for ICMTA participants to meet researchers in other related fields as well. ICMTA2019 would be an excellent international conference for sharing knowledge and results in Materials Technology and Applications. Its aim to provide a platform to the researchers and practitioners from both academia as well as industry to meet the share cutting-edge development in the field. The primary goal of the conference is to exchange, share and distribute the latest research and theories from our international community. The conference will be held every year to make it an ideal platform for people to share views and experiences in Materials Technology and Applications related fields. Prospective authors are invited to submit original research papers which have not been submitted or published by other conferences or journals. Submitted papers will be peer-reviewed and the accepted papers and posters will be published into the conference proceedings and submit for indexing. ICMTA 2018 papers have been uploaded in TTP-MSF digital base after the conference. The latest information will be mailed ASAP. 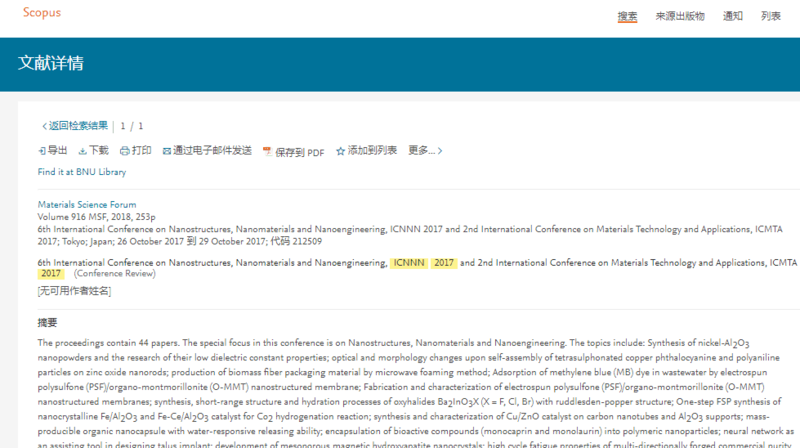 ICMTA 2019 conference proceedings will be published, included as one volume of Materials Science Forum as well, "Materials Science Forum" is one of the largest periodicals in its field. December 12, 2018! The 4th ICMTA is to be held in Kyoto, Japan during Oc 11-14. Welcome your join and call for papers now. October 30, 2018! The conference was held in Hokkaido, Japan successfully in Oct. 26-29. More than 150 participants joint and shared latest research. The secretary will share conference photos with you via mail. Please check mail box on time. June12, 2018! 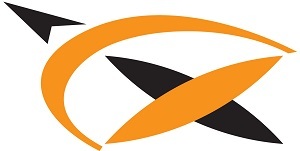 Within three months of online, the proceedings was indexed by EI and SCOPUS successfully. December 21, 2017! ICMTA 2018 will be held in Hokkaido, Japan. Call for papers now!